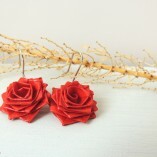 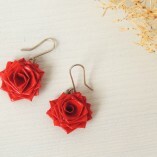 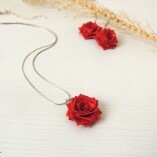 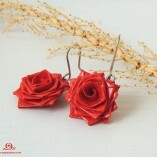 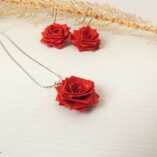 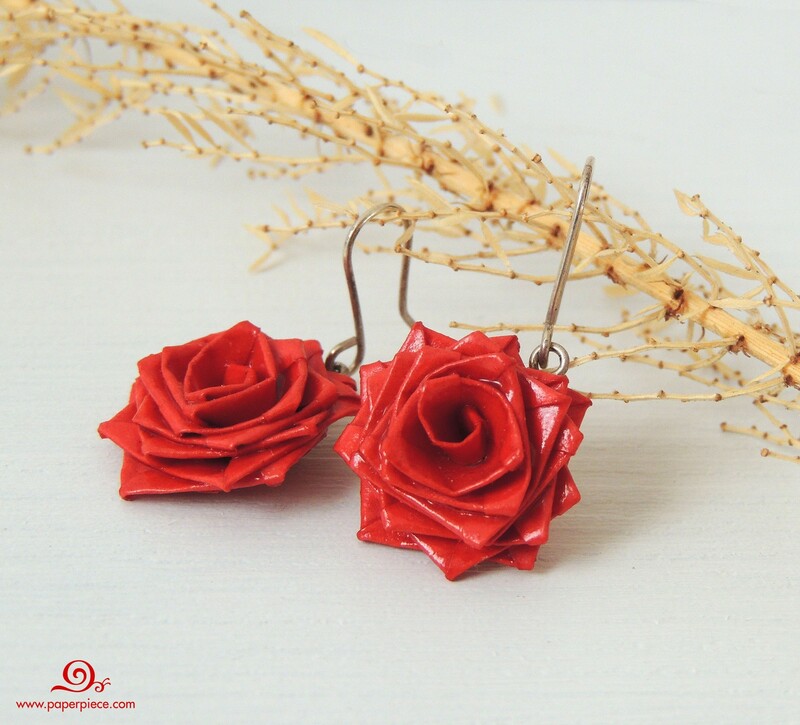 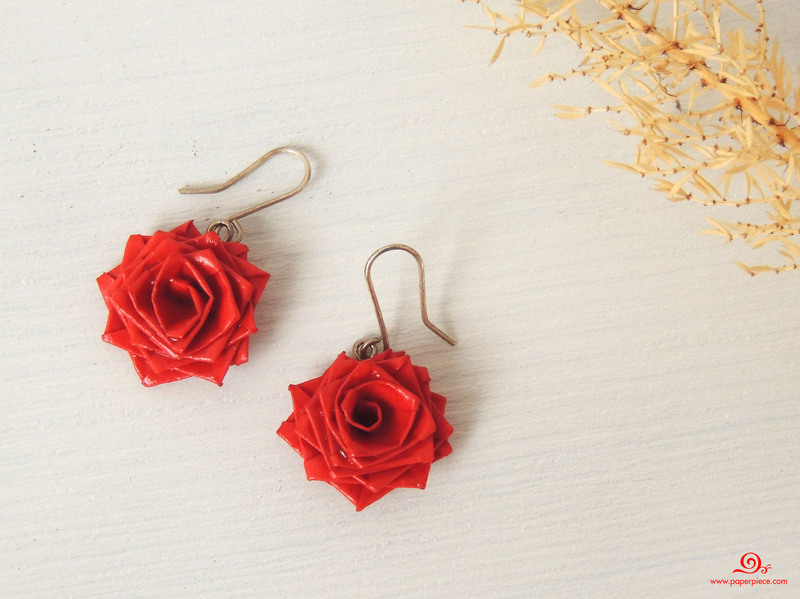 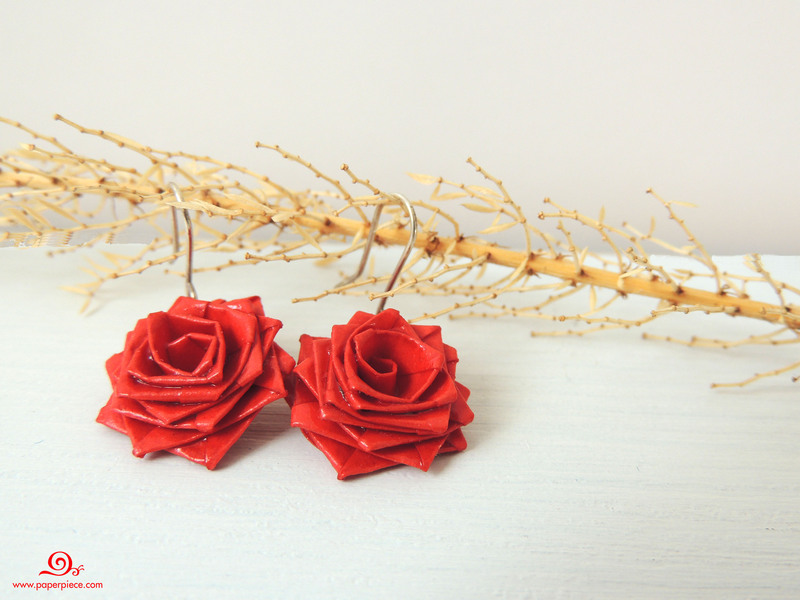 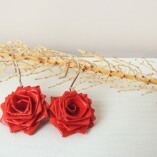 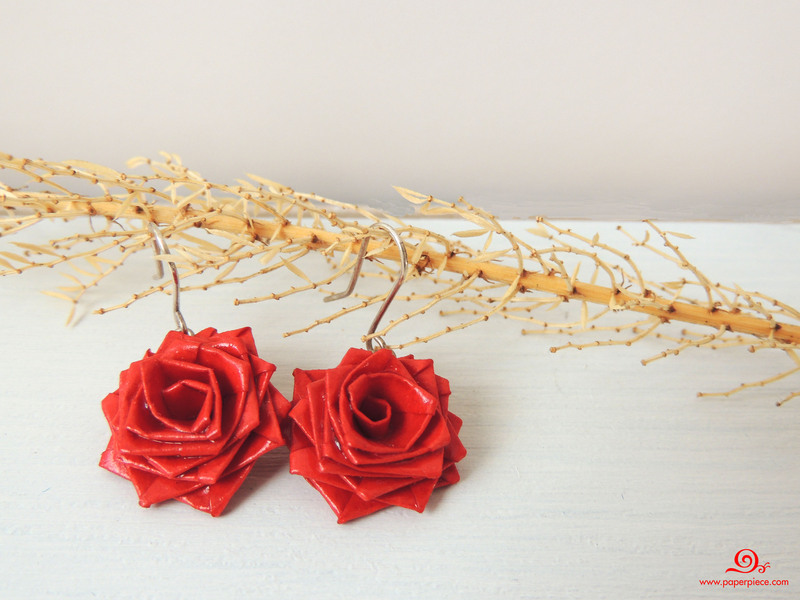 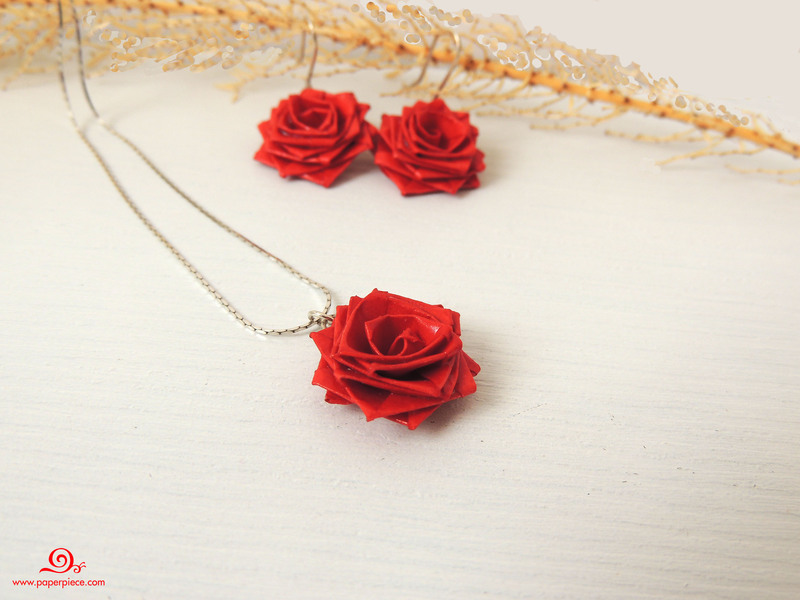 Red rose earrings hand made from paper and sterling silver using unique filigree technology. 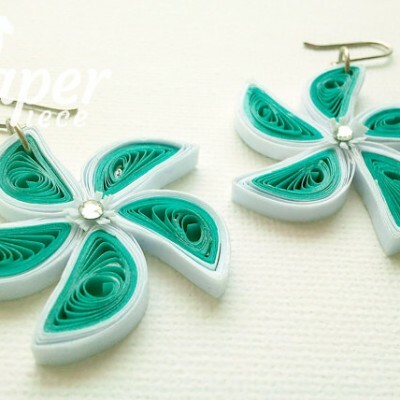 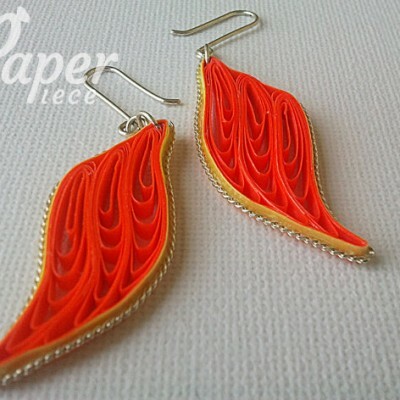 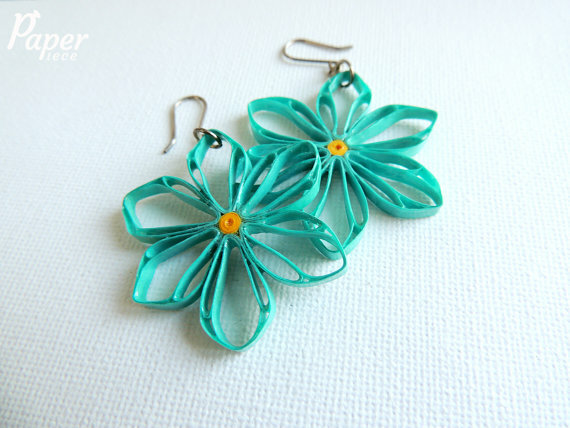 They are durable as plastic and light as paper. 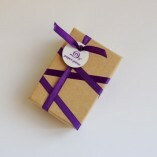 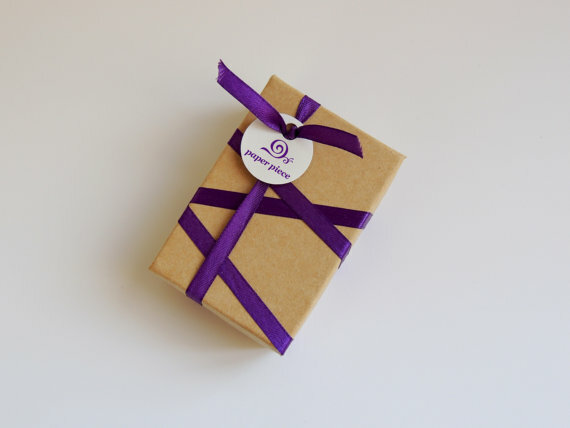 The paper coated with hypoallergenic varnish that hardens it and protects from all weather conditions (including rain). 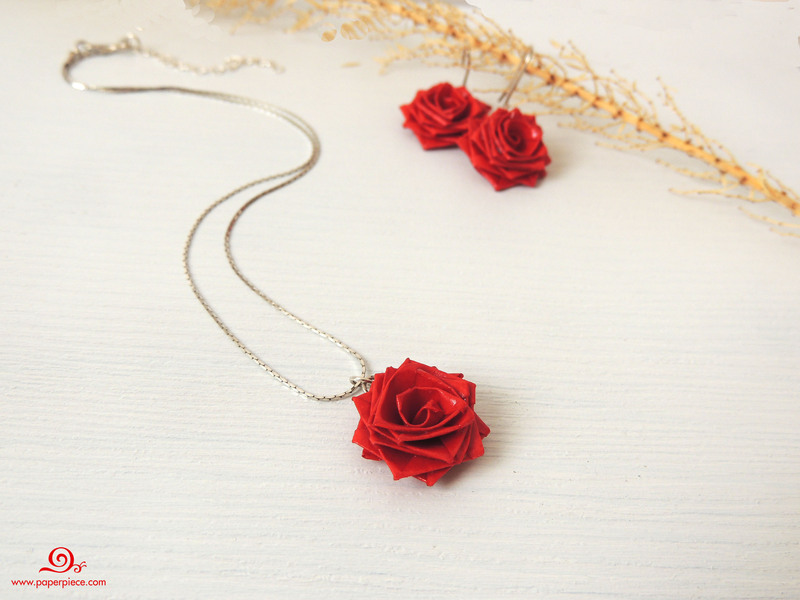 Sterling silver enhances the quality of the piece.